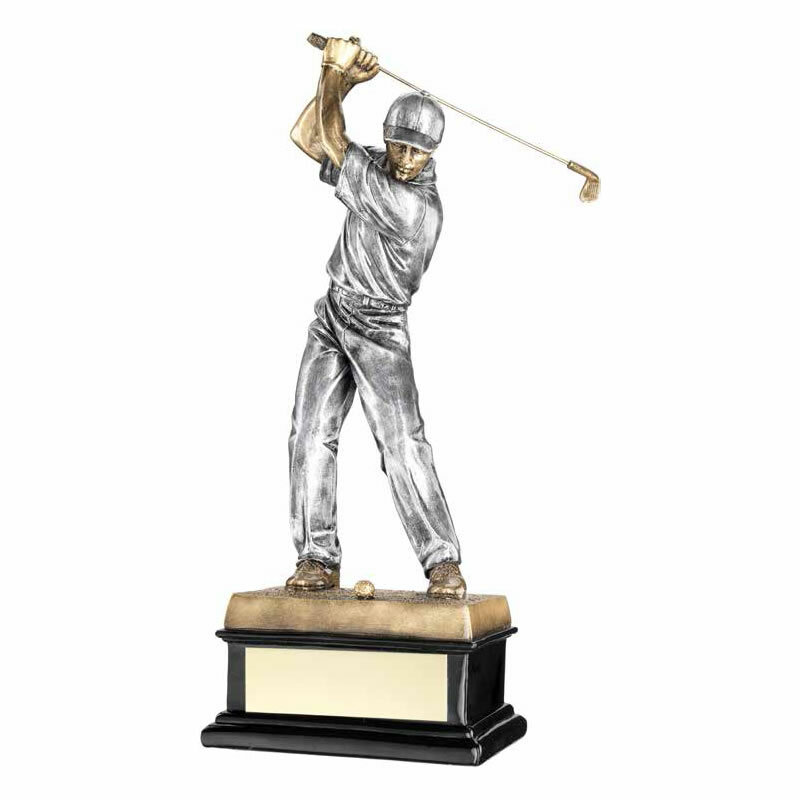 These versatile golf trophies are suitable for a wide range of golfing awards and achievements. Crafted in durable resin with a silver and bronze colour finish, they feature a detailed figure of a (male) golfer figure assessing a shot, set on a golf ball base with engraving plaque. 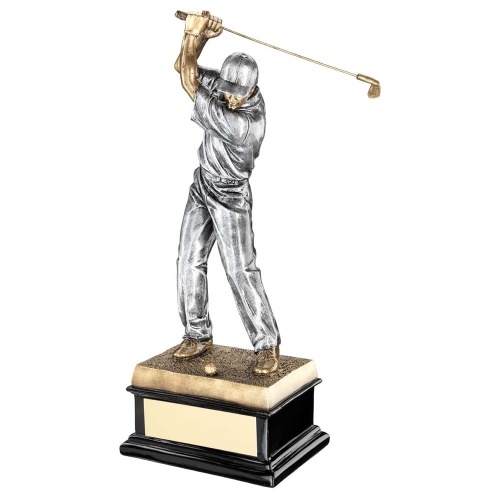 Stands an impressive 14in / 356mm tall (including base).